February starts as badly as January was. Sadio Mane made his first start for the reds after his return from African Cup of Nations duty - a boost to the team who have struggled with goals since the turn of the year. The reds were forced into a defensive reshuffle with Dejan Lovren declared unavailable to due a knee injury. With Ragnar Klavan unwell the reds had to bring in Lucas Leiva to partner Joel Matip at the back. From the outset the traditional gameplan from the opposition was clear. Defend with two banks tightly packed - the defence and midfield and leave it to Liverpool to try to break them down. The reds enjoyed plenty of possession and had a shout for a possible penalty but there was little else of note for the reds. In the 44th minute disaster struck. Liverpool gave away a cheap corner and from it Maguire was allowed the space to win the header. Mignolet hesitated, before weakly coming out to try and clear, allowing debutant Alfred N’Diaye an easy poke into the net from the edge of the 6 yard box. 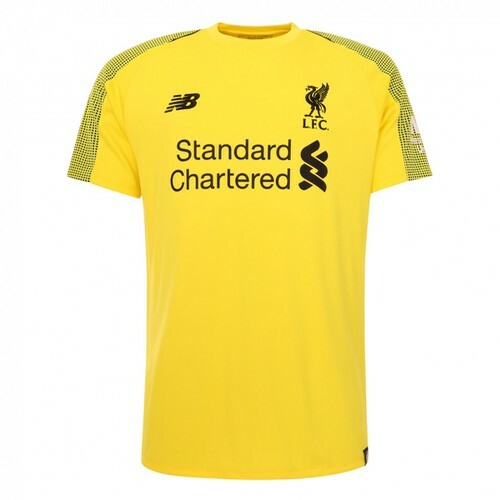 Conceding the corner was poor but the Liverpool keeper simply should be stronger and more alert. So the reds went into the half time break 1-0 down. Liverpool had tried to mix up their match strategy - utilising more 40 yard direct balls as opposed to the intricate pass and move but it hadn't allowed them to break the deadlock. There wasn't much more movement in the second half - although the reds should have equalised when they played ping pong across the Hull 6 yard box - Milner and Coutinho failing to trouble the keeper. Mane had a solid chance with an early header in the half but Eldin Jakupović in the Hull goal managed to bat it away. Emre Can was replaced by Daniel Sturridge as the reds tried to search for something from the game but all too often they panicked, overhitting crosses into the box and handing possession back to the homeside. Liverpool brought on Origi for Lallana, Moreno for Milner - it was time to go gung-ho but they left the back door open. Ain the final insult Everton's on-loan player, Oumar Niasse, powered forward on a counter-attack and slid the ball past Mignolet to make it 2-0. A very disappointing start to the month and Liverpool are now in serious danger of falling away from a top four place. Number 1 gripe is Mingolet utterly underwhelming at best the older guys Milly & Lucas are starting to labour maybe the season catching up. On a high when it works when its broken aint enough bits to repair the machine Klopp needs 300 million for starters to get a squad together I expect more results like today are we in free fall????? Sorry, but enough is enough. It’s time to start preparing for next season, and, with that in mind, is it time to consider whether Liverpool are, effectively, in a ‘back him or sack him’ situation now? With this season having become a major disappointment, will FSG and the fans feel comfortable committing themselves to Jurgen Klopp, or will a new manage be required? If the latter is the case, should the recruitment process begin now, so that a new manager has the remainder of this season plus the summer in which to prepare the team for what, hopefully, will be a more worthwhile season next time around? Even if a new manager is appointed, would FSG actually provide funding for transfers, or will they be looking to make another profit from the summer transfer window? Things seem to be coming apart at the seams now, so something will have to change, and soon, whether the change comes in the form of new and more ambitious owners, a new manager, or new players. Even though I haven’t been a fan of LFC for many years, I feel sad to see how utterly terrible they are. No goalie worth a carrot. Can the slowest player in Europe under 45. Lucas the same pitiful joke he has always been. Coutinho massively overrated ( he’d be hopelessly out of his depth at a top team ). Totally deluded fans. It just goes on and on. It is clear to many that the problems at Liverpool will never go away until they stop making the same mistakes year after year after year. But absolutely no sign of that happening. Final finish? Eighth maybe. Ninth perhaps.